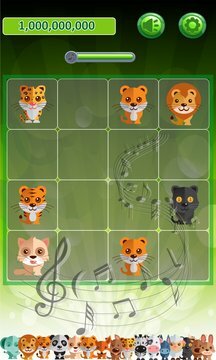 Melody Of Pet is a very interesting music game combines with piano songs. Just try and enjoy the rhythm and your own melody from the pet, get more fun in the music and enjoy the fantastic experience. Melody of Pet comes with 3 modes: Classic, Block and Speed. Timing and precision is everything in this game, just swipe, swipe and swipe then feel your own melody. Make your own rhythm and play your own music just like a professional pianist! 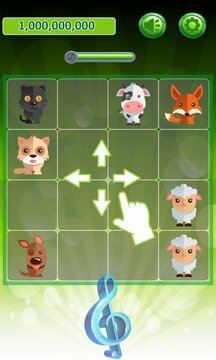 Melody Of Pet is an addictive game suited for everyone. Easy to play, fun for all ages and very good stuff to kill the time. - Logic is very simple, just swipe and combine the pets. - Pets will turn into bonus score if the music bar is full. - Game will end if there is no more move left. - Just enjoy the random piano songs, make the music bar full to get bonus score and explore another random song. - Three Game Modes: Classic, Block and Speed. - Easy and addictive piano music gameplay. - Auto save game so that you can continue whenever you want. - Beautiful and stunning graphics.